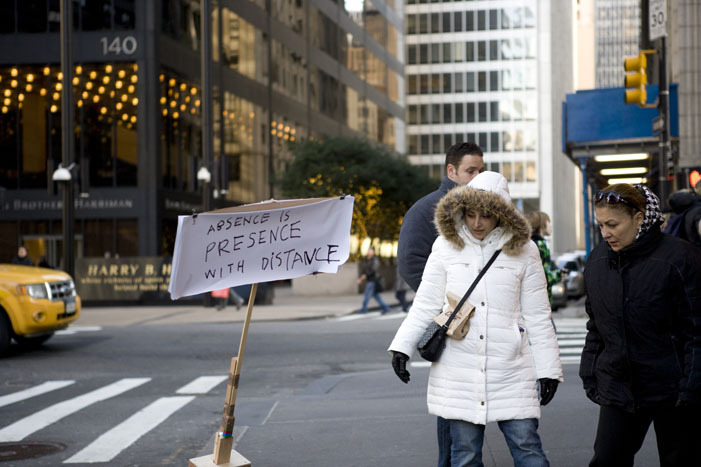 ‘Automatic protester’ is a set of physical tools designed support activists and eventually replace human from the protest scene. 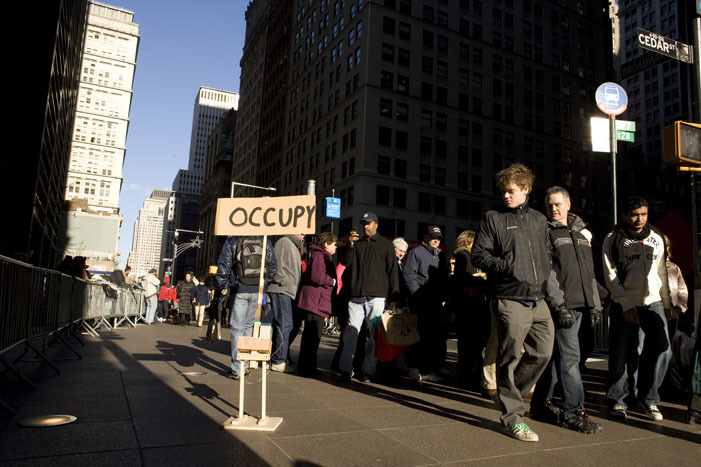 Learning from Occupy Wall Street and Arab Spring, it is clear that social movement is heavily mediated through new media technology. Similar technology can be used to enforce hegemony of power and also as a tool for distributed collective action and participation. Government agencies are investing on artificial intelligence and unmanned vehicles to further control people in revolt. It is the time, we activists, to build practical and symbolic tools to continue protesting in the age of ‘non-human’ public space. 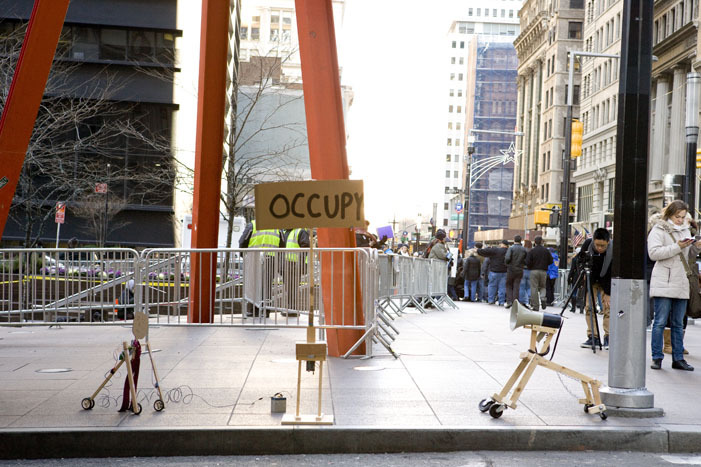 The tools are built with material that will cohere with the New York City law for picketing, such as corregated cardboard, styrofoam and electricity will run on low voltage battery and solar cell. 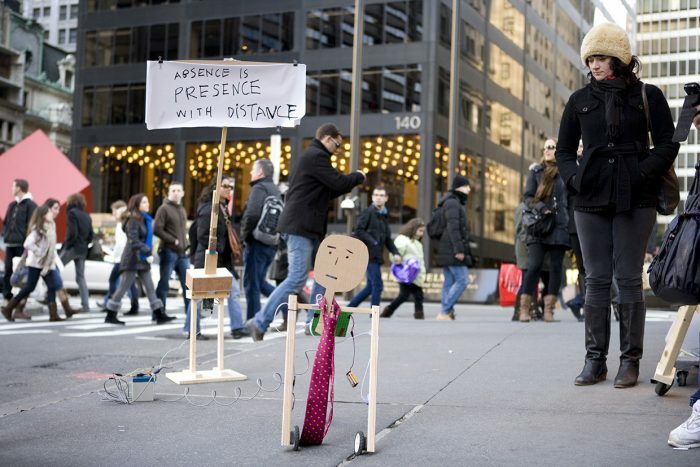 The series include ‘Occu-bot’, hand-made electronic protester that continuously occupies public space, ‘Noise Collector’, a dog that records and plays back urban sound via non-electronically amplified megaphone.